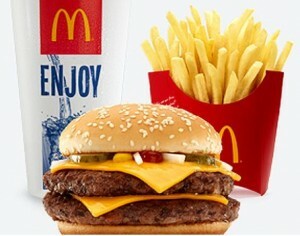 Print the latest release of McDonald’s coupons for your location. On their site, simply select your Province and City and click on “Print Coupons.” Lots of great coupons including buy one get ones, 2 can dine deals, and in some regions there is even a coupon good for a free McCafe beverage. Be aware that coupons will differ from region to region. UPDATE: Looks like they are no longer doing the free box, but you can still get the $1.00 off coupon. 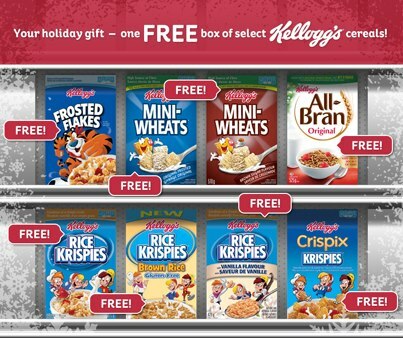 Click Here and “Like” Kellogg’s Facebook page to print your coupon for a $1.00 off a box of Kellogg’s Cereal. Randomly each day for a small amount of time, they are also giving away coupons for a FREE box of Kellogg’s cereal. There is only a limited supply of FREE coupons daily. Before the offer has begun or after the daily coupon supply is gone., the offer becomes $1 off coupons. You are allowed to get both the FREE coupon and the $1.00 off coupon. You must be a WebSaver.ca member to get either coupon, but it’s easy and free to sign up. Sign up here for WebSaver or you will have a chance to sign up when you go to print your coupon. Print your coupon good for a FREE Box of Special K Cracker Chips, Bar-B-Q or Zesty Southwest flavor. The coupon is valid on February 9, 2013. To print the coupon, you have to be a WebSaver.ca member, but it’s simple and free to join. Being a member gives you access to lots of awesome money saving coupons. 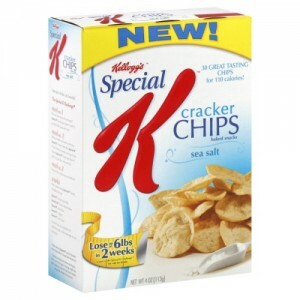 After you have printed the Special K coupon, set a reminder for February 9, 2013 because that’s the one and only day the coupon is redeemable. Update: This is no longer free. Use Dumpr to make printed pencil sketches from your favorite photos for FREE! Totally cool! Use your photos from Facebook, Flickr, your computer and more! Once your pencil sketch is complete, save it to your computer or post it on your Facebook page. 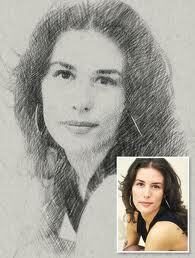 Print your awesome pencil sketch out and add water color to it or your kids can color it. Or just keep it as is and frame it to have a unique picture. It would also make a great gift. 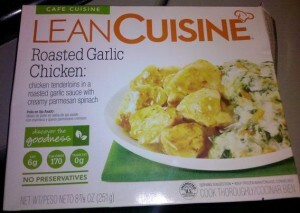 Get your FREE Lean Cuisine Entree! Only 2000 coupons are being given away daily at a random time. They post when it goes live on their Facebook page. These go very quickly, usually within 20 minutes. Keep an eye on their Facebook page to see when they go live with the offer. Also, if I see it going Live, I will post it on our Facebook page. There are 4 different entrees to choose from – Shrimp Alfredo, Chili Lime Beef, Chicken Teriyaki, or Roast Garlic Chicken. Offer ends January 17, 2013. Hope you get one! 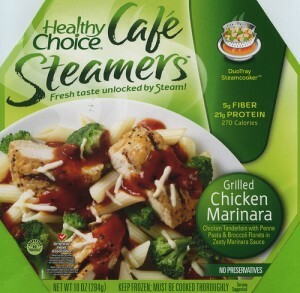 Get a Free Healthy Choice Gourmet Steamer when you buy one with this valuable coupon. Just log in and click on the coupon. It will be sent to you in the mail. If you are not a member of webSaver.ca it is fast and easy to register. Once you are registered you will have access to many valuable coupons.